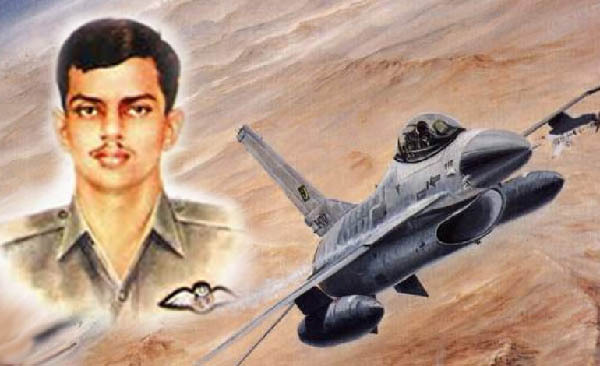 KARACHI, Sept 7 (APP): A PAF Contingent led by Air Vice Marshal Salman Ahsan Bokhari, Air Officer Commanding, Southern Air Command, Pakistan Air Force on Wednesday offered “Fateha” and laid wreath on behalf of Air Chief Marshal Sohail Aman, Chief of the Air Staff, Pakistan Air Force at the grave of Pilot Officer Rashid Minhas Shaheed (Nishan-e-Haider). The contingent paid homage to the young pilot who sacrificed his life in the defence of motherland, showing exceptional courage and determination. The Defence Day of Pakistan, celebrated by all the three services, reminds us of those Shaheeds and Ghazis who with their dauntless courage and gallantry thwarted the evil designs of the enemy in 1965 Indo-Pak War leaving behind several unforgettable tales of unparalleled valour and chivalry, a PAF statement said here on Wednesday.